What is Adhesion Pull Off Testing ? Pull off tensile adhesion testing can assist to determine the efficacy of a coating system or the effect of additives and/or primers. A cost benefit analysis can be conducted by conducting pull off adhesion pull of testing on different primers, adhesives or coating systems. This can save significant amounts of money for large projects. Adhesion pull of testing can be conducted on samples prior to the full-scale application to assess if there may be adhesion issues on old substrates such as contaminated concrete in old automotive workshops. Ceramic tile adhesives are tested to ensure compliance with AS 4992. Additionally the compatibility of ceramic tiling systems with their respective adhesive assessed by conducting pull off adhesion test. This is important for materials such as porcelain tiles where there is little or no mechanical interlock within the porcelain substrate due to the negligible porosity. Pull off adhesion testing can assist to determine if meshing on the back of mosaic tiles may affect the tensile strength. The mesh backing of the mosaics may contain soluble glue or provide a layer over the back of the tiles that may interfere with the adhesion. AS 4992.1-2006 Ceramic tiles – Grouts and adhesives – Terms, definitions and specifications for adhesives. These Australian Standards assesses the adhesion between a substrate and the coating system and assesses the type of failure between the materials. 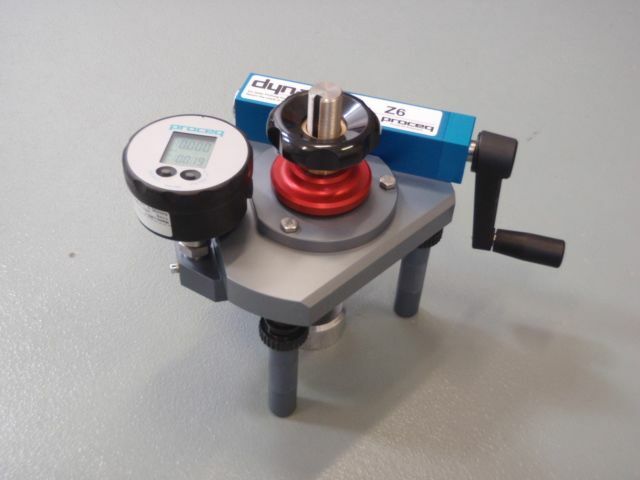 Safe Environments adhesion testing uses a Proceq Dyna Z6 Pull-off Tester with a Digital Manometer force gauge. 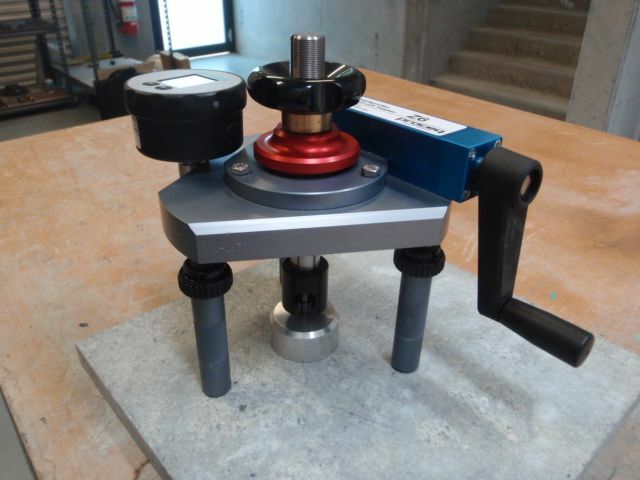 The dolly used for the pull off testing is dependent on the type of adhesion pull off test. 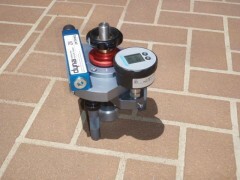 Generally a 50 mm aluminum doll is used to determine the adhesive strength of coatings and general adhesives. For the testing of ceramic tile adhesives a 50 mm square dolly is used.